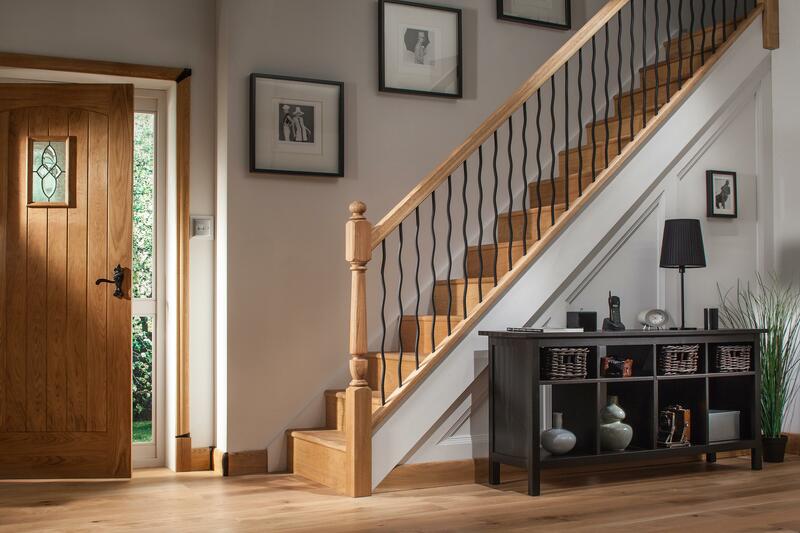 The Black Iron balustrade system has been designed to give a modern look to your staircase without the need of fussy connecting brackets. The Black Iron Square Stair Spindles simply slot into the pre-grooved hand and base rails and secured on a bed of silicon and between the solid oak fillet strips supplied. This system can be used with any newel post in any timber, new or existing allowing you to mix Oak Rails with White Painted Posts. Leaving your existing newel posts in place makes the job quick and easy, refreshing your staircase in a matter of hours. Take away your existing hand and base rails and spindles and secure the Oak Black Iron Handrail and Base Rails to your existing newel posts and fix the pre-cut rake or landing Black Iron Spindles. What Black Iron Balustrade Parts Do I Need? 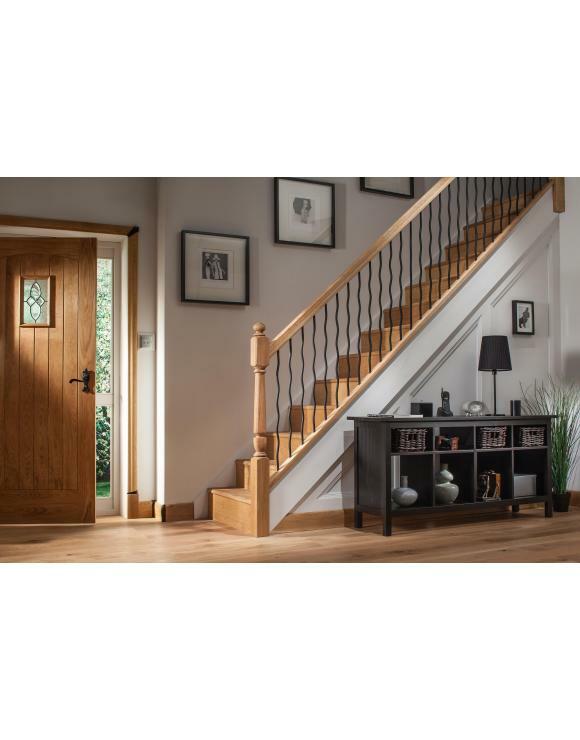 You will need to decide whether you are using existing newel posts or replacing. If you are using existing, then measure the distance between posts to determine what lengths of hand and base rail you need. Secure the base rail to the staircase string by drilling the base rail from the top and secure down through the rail into the staircase string with suitable wood screws. The screw needs to be slightly counter sunk. The screw heads will be hidden by the fillet strips and Black Iron Spindles. To fix the Black Iron Oak Base rail to the landing simply drill the rail and secure it to the landing floor boards. The handrail will need to be cut to size and joined to the newel posts with traditional mortise and tenon joints or using our universal handrail fixing kits. Offer the handrail up to the post and support by inserting a spindle into the base rail groove and handrail groove. This will give you the correct height to fix the handrail to the newel post.